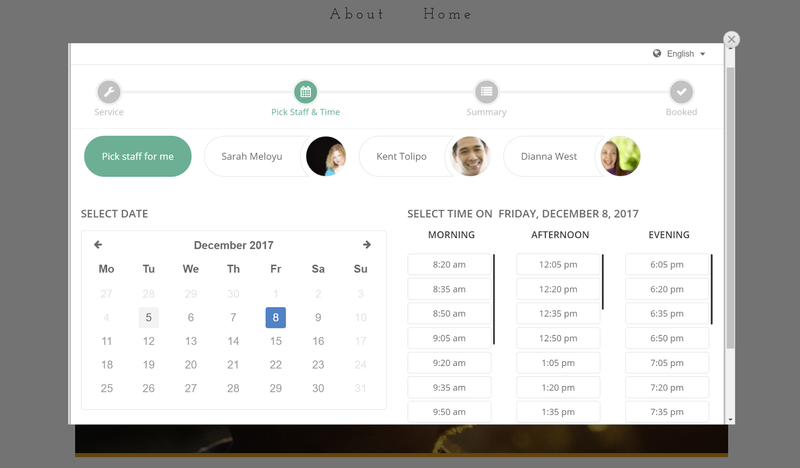 Add BookSteam BookNow button or Website Widget to your Yola website. 3. 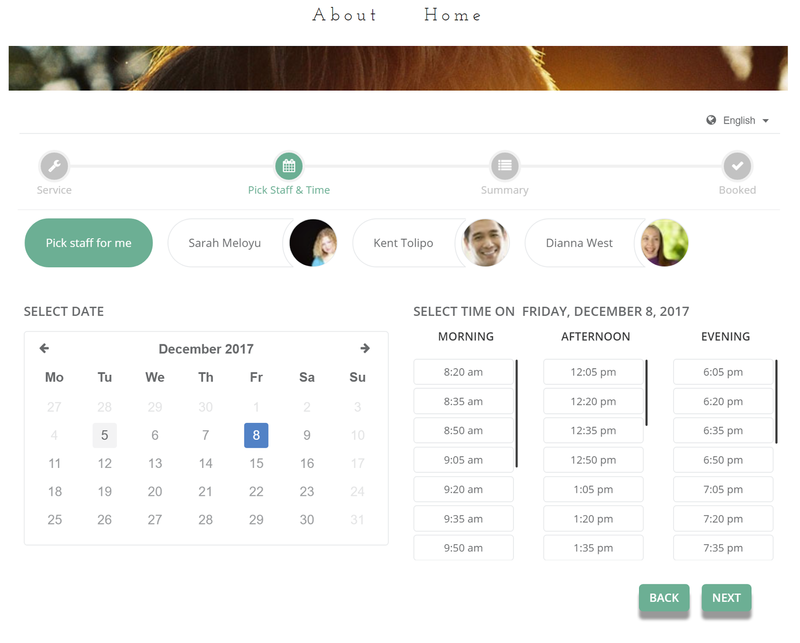 Login into your Yola website builder. At the top of the page click and drag the HTML Code button to where you want your BookSteam "BookNow" scheduling button to appear. 4. Paste your BookNow button code from step 2 and click Save. 5. 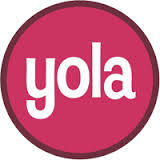 Click "Publish" and your BookNow button will appear on your Yola website. 6. If you want to integrate website widget (popup or direct booking on your Yola webpage), navigate in your BookSteam account to the 'Marketing' tab, on the left hand side select 'Website Widgets'. 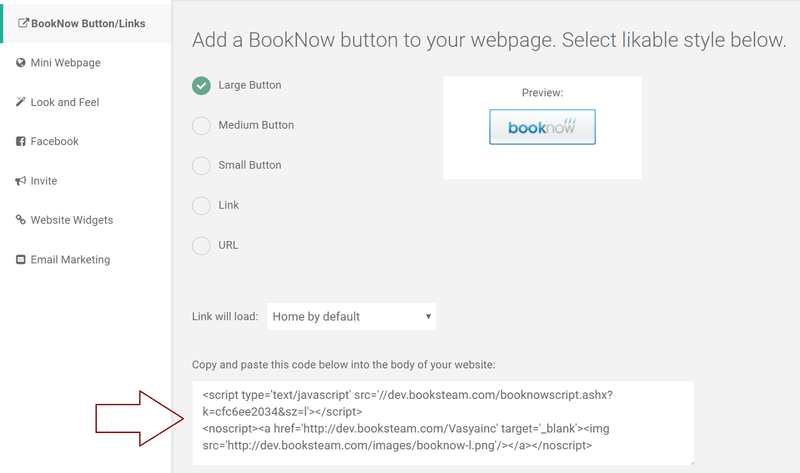 Select 'BookSteam widget in body' or 'BookSteam popup widget', select which link to load (if you want to load main page just leave it default) and then copy code below. Congratulations! You've added BookSteam calendar to your Yola site!